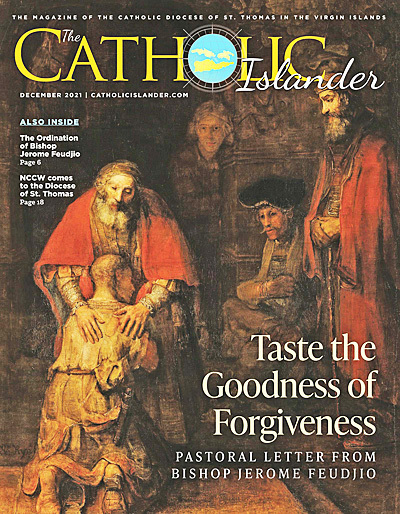 The July/August 2015 issue of the Catholic Islander is online, click on the above image of the front cover or here. 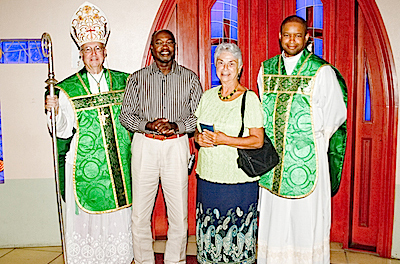 Bishop Bevard is shown with Fr. 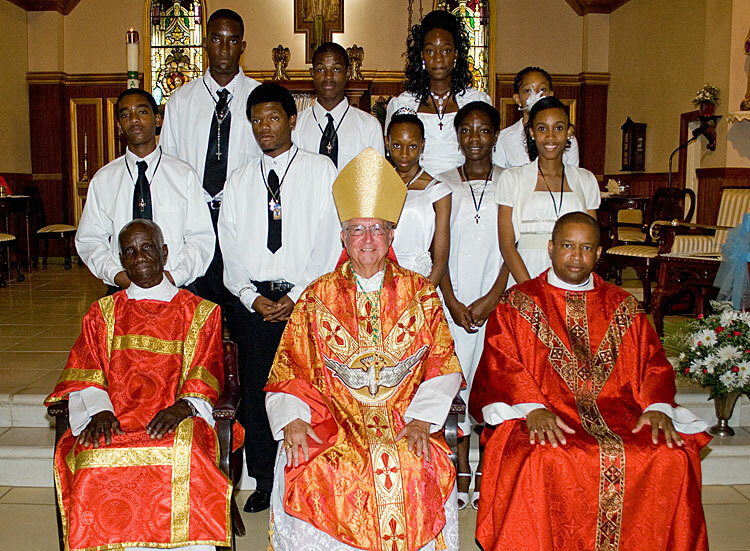 John Mark, Pastor of St. Joseph Catholic Church and 9 young parishioners who were confirmed during the 5 p.m. Mass on May 31, 2014. 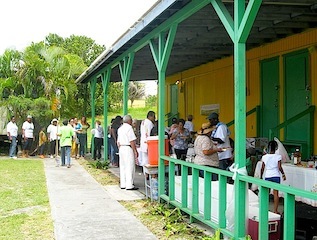 25 years ago on September 17, 1989, Hurricane Hugo hit St. Croix and destroyed St. Joseph High School. Read the Hurricane Hugo Articles about St. Joseph High School from the Congressional Record. 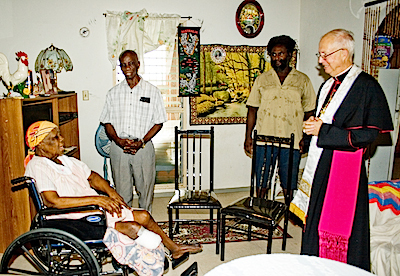 Bishop Bevard met with groups of the parish and visited the sick on September 7, 2013. 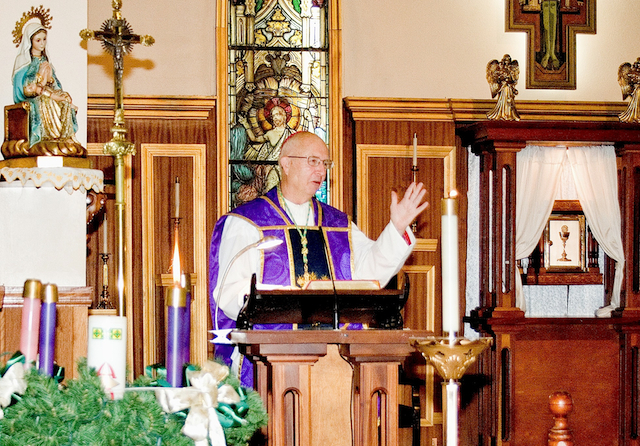 Bishop Bevard celebrated the 7 a.m. Mass at St. Joseph Church on September 8, 2013. 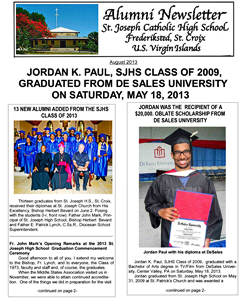 The August 2013 issue of the SJHS Alumni Newsletter is online, click on the above image of the front cover or here. 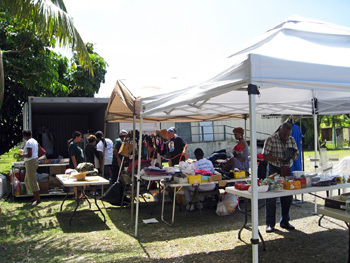 Winter 2013 issue of "Neighbors"
Rev. Fr. 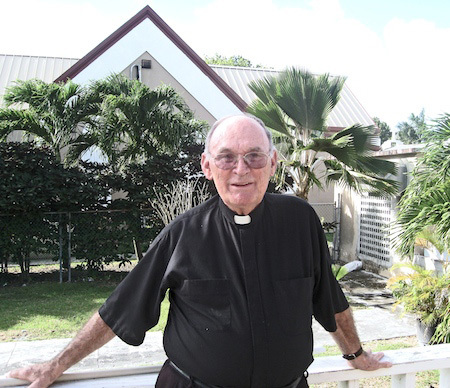 Arnold W. De Porter, a former Pastor at St. Joseph Parish on St. Croix, visited St. Joseph Parish in July, 2013. 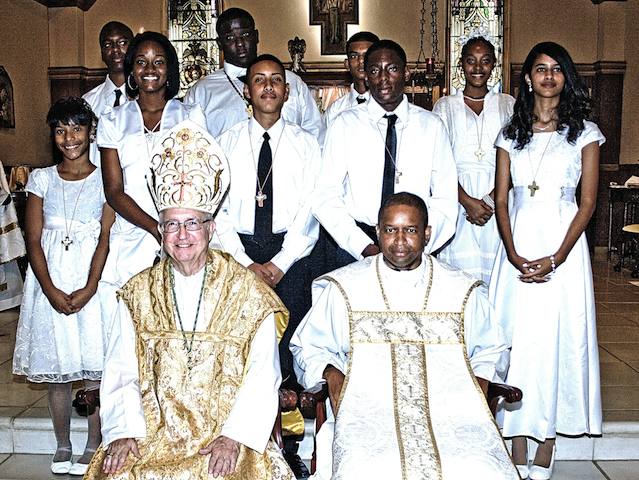 Shown with the 9 newly confirmed parishioners are Bishop Herbert Bevard and Fr. 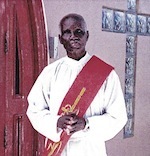 John Mark, Pastor of St. Joseph Church. 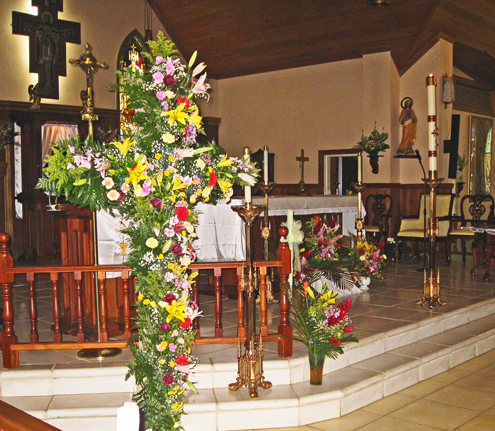 The photo was taken at the end of the 5 PM Mass on May 25, 2013. 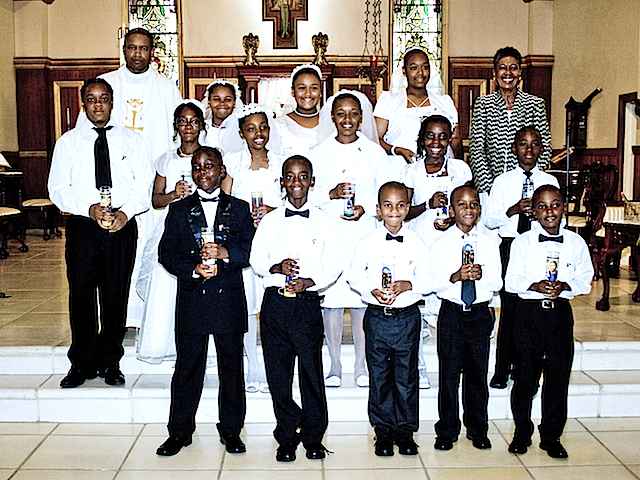 Shown with the 14 First Communicants are (top left) Fr. 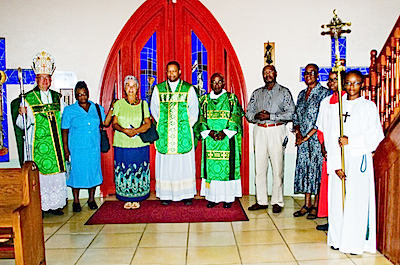 John Mark, Pastor of St. Joseph Church, and (top right) Ms. Bernadette Palton, one of the teachers of the First Holy Communion Class. 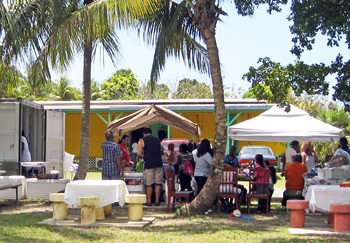 The photo was taken at the end of the 5 PM Mass on May 4, 2013. Fr. 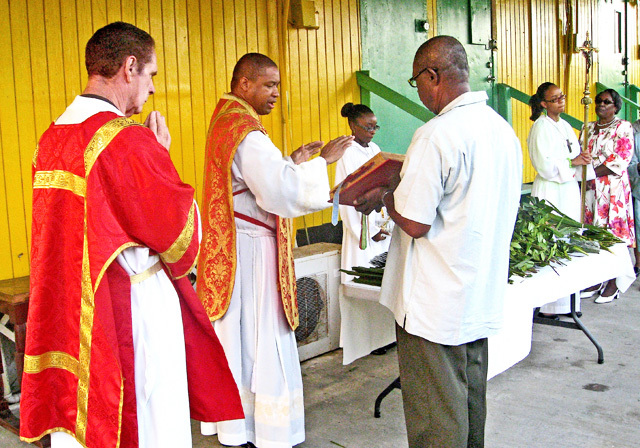 John Mark, Pastor of St. Joseph Church, blesses the palms assisted by Deacon James Verhoff. 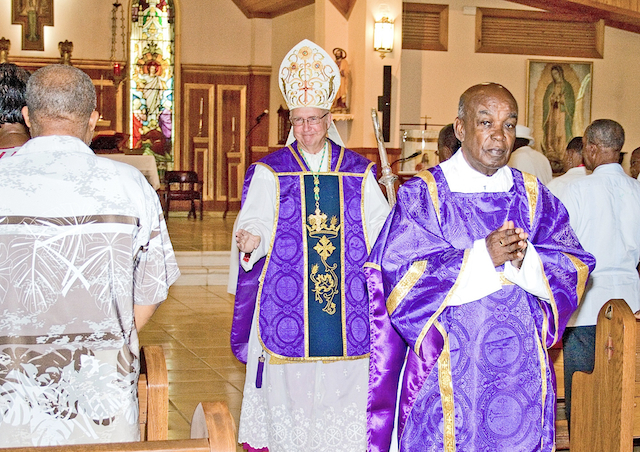 At the start of Bishop Bevard's Mass at St. Joseph Church. 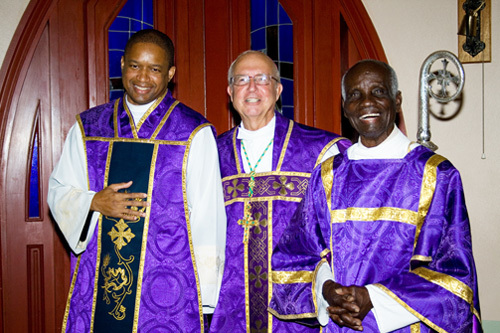 In the picture are shown Bishop Bevard; Deacon Conrad Williams; Fr. 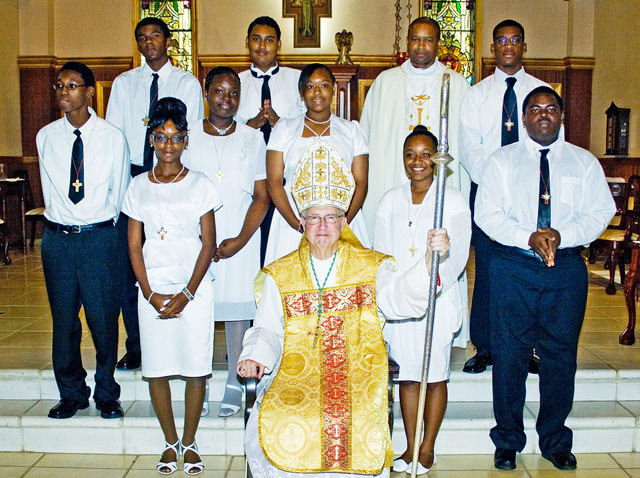 John Mark, Pastor of St. Joseph Church; the 3 altar servers. 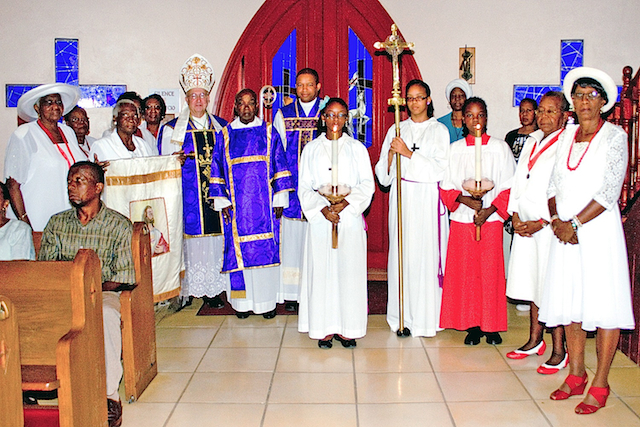 Surrounding them are members of the St. Joseph Church Sacred Heart Society. Bishop Herbert Bevard at the end of the Mass giving his Blessing to those in the pews. He is preceded by Deacon Conrad Williams. 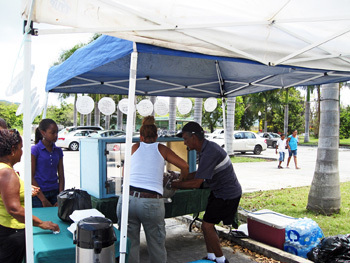 Photos above were taken on the St. Joseph Church grounds during the Flea Market held on Saturday, April 21, 2012 from 9 AM to 2 PM. 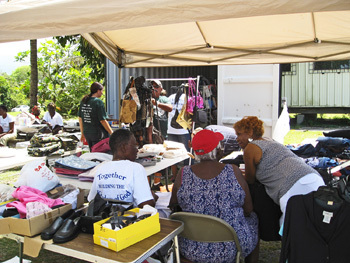 Future Flea Market openings will be announced. 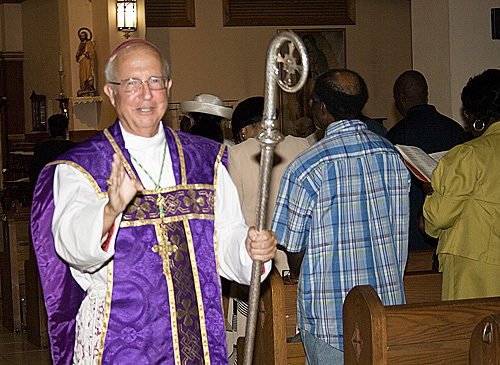 Bishop Herbert Bevard celebrated the 5 PM Mass at St. Joseph Church on 3/17/12. 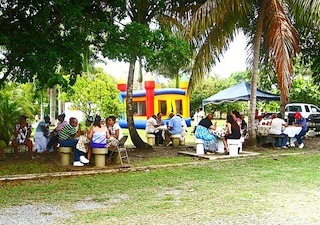 Click on the photos below for a larger view. 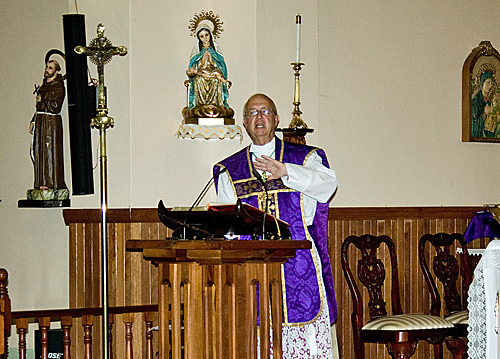 Bishop Herbert Bevard celebrated the 5 PM Mass at St. Joseph Church on 3/17/12. Click on the photos above for a larger view. 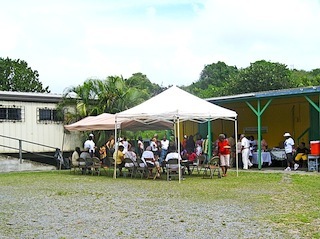 Panorama photo of the Sacrament of Confirmation which took place at the 7 AM Mass. 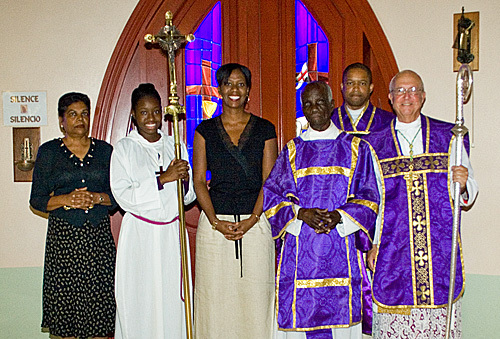 Bishop Herbert A. Bevard administered the Sacrament. 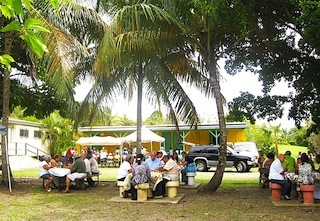 Click on the above photo for a large view. Click here for the Virtual Reality View (with Gregorian Chant). The Chant on the this page is a non-commercial recording from the St. Benedict's Monks in Brazil and is freely available on their website.